An Interview With The Long Island-Based Band, PATENT PENDING! Patent Pending is an acrobatic gang of musical misfits from Long Island, New York. With a never-say-die attitude and enough live energy to power Times Square, the group is set on giving listeners a reason to forget about the chaos of everyday life. With shows growing in size from basements to amphitheaters, and from VFW Halls to sold out headlining shows in the United Kingdom, they’ve never let go of the genuine DIY code of ethics the band was founded on over a decade ago. The live show, which has been described as “psychotically fun and dramatically moving,” is an inspiring testament to the passion the band pours into every aspect of their lives. Hard work and dedication have yielded some incredible results for Patent Pending. They’ve enjoyed the success of three music videos reaching the coveted #1 spot on MTV.com, with state side rotation on MTV, MTV2, MTVu, Fuse on Demand and Scuzz TV in the United Kingdom. In 2012, The Pending’s warrior-like determination won them the Billboard Music Awards “Dream Seeker Of The Year” trophy and afforded them the honor of delivering a ground-shaking performance of their song “Dance Til We Die” in front of a national television audience of over 8 million home viewers. 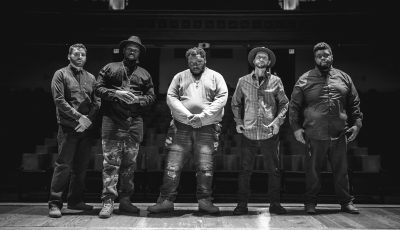 Later that year, opportunity came knocking again in a big way when pop-rock legends Bowling For Soup gave the band an opening spot on their massive UK Tour. That first trip to Europe proved to be a life changer for the New York natives. The band has since returned for multiple headlining tours and performances at the historic Download Festival with the likes of Slipknot and Iron Maiden. What are some words you would use to describe 2017 for this band and your music? What were some of the highlights? What has been the most exciting part about this year? 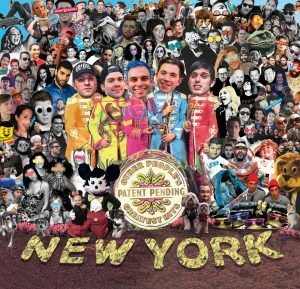 2017 has been NON-STOP CHAOS for Patent Pending! Highlights include recording and releasing a brand new album called “Other People’s Greatest Hits”, headlining a tour of the United Kingdom and shooting a music video! The most exciting part of the year so far is that it isn’t even half over yet! There is still so much awesome to come! I always knew I wanted to be an entertainer growing up. I don’t think I was ever set on one particular side of the business. I just always knew that I loved performing and making people happy. The first time that I thought something like “Hey, this might actually be something” is when the New York Times put us in one of their Top Ten Must See Entertainment lists. My dad saw it and I believe the quote was “How the [EXPLETIVE] did you do this?! ?” Anthony and I met when we were just kids in school and Marc, Rob and Corey joined along the way after we met them while they were originally playing in other bands that we used to tour with. You just released your full-length cover album, “Other People’s Greatest Hits’.” Can you talk about putting this collection together? Did anything surprise you at all about the process? Yes! We’re so excited that “Other People’s Greatest Hits” is finally out in the world for people to have and enjoy! It was a bizarre process! 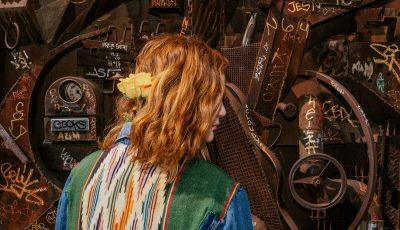 We started with a list of 173 possible songs for the album and spent two very long debate-filled weeks whittling down the list to the ten that come across on the album. I was surprised by how many amazing songs there are out there. When selecting songs for a cover album that has no real guidelines other than just songs we like, it was staggering to see how many songs you know the words to and how many of them hold special places in your heart. Music truly is a crazy thing that keeps finding ways of surprising us. How did you go about selecting the songs that would be on this album? Were there some songs that didn’t make this one but you hope to put on another collection? What were they? We debated internally and then went over songs with our publicists and record label, and man… it just feels like it went on forever! It was a lot of fun because we got to listen to awesome music for two weeks, but it was a ton of work. There were 163 other possibilities that didn’t make the list. I’ll keep some of them a surprise in case we ever decide to do more stuff like this, but I will say that the world was dangerously close to hearing us belt out some Jackson 5, Avril Lavigne and N’SYNC songs! 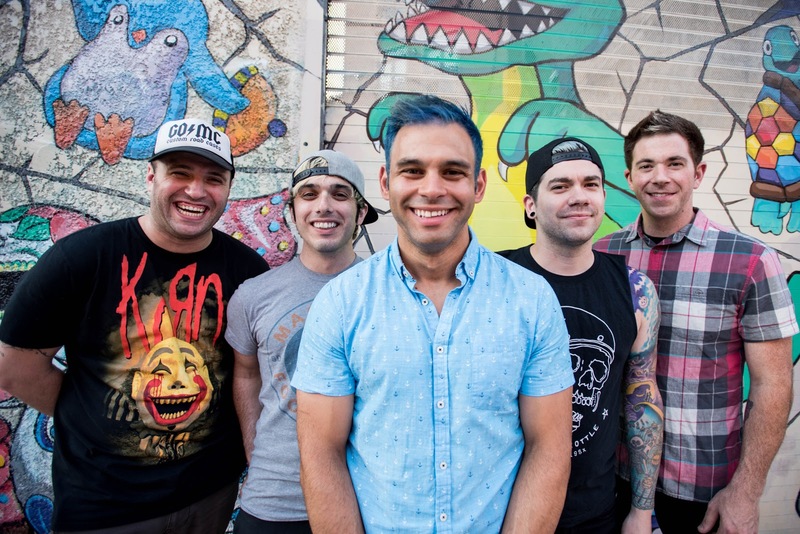 How do you think Patent Pending has grown as a band over the years? What has remained the same about how you all work together? We started this when we were little kids. We’ve all grown up in this band and as we have changed, so has the band. I’m proud to say that what has remained the same through all of this is that we are all friends who are passionate about performing music for good people. We love having fun. That’s what this has always been about for us. Why do you think Rude Records is the best label to support this band and your music now? How long have you been working with them? Rude Records is a great partner in all of this. We license the records to them and they release them worldwide. It’s hard to find honest people who are in this business for the right reasons. Rude is a refreshing reminder that there are people on the inside of this industry who love music just as much as the fans. It’s always great to see a company share the same enthusiasm as we do for music that we make with our hearts and believe in so much. How excited are you guys to be heading out on the road this summer? What venues are you looking forward to playing at? What do you think makes for a perfect show for this band? We are so excited to be heading out on tour with Simple Plan and our long time brothers in Set It Off this summer! We’re excited to get back to the west coast and eat some In-And-Out Burger. We’ve essentially spent the last 5 years only touring overseas and it’s been a minute since we got to do a full scale tour of the USA, so needless to say it’s gonna be a hell of a summer! Who are some of your favorite artists? Who would you all to work with in the future? 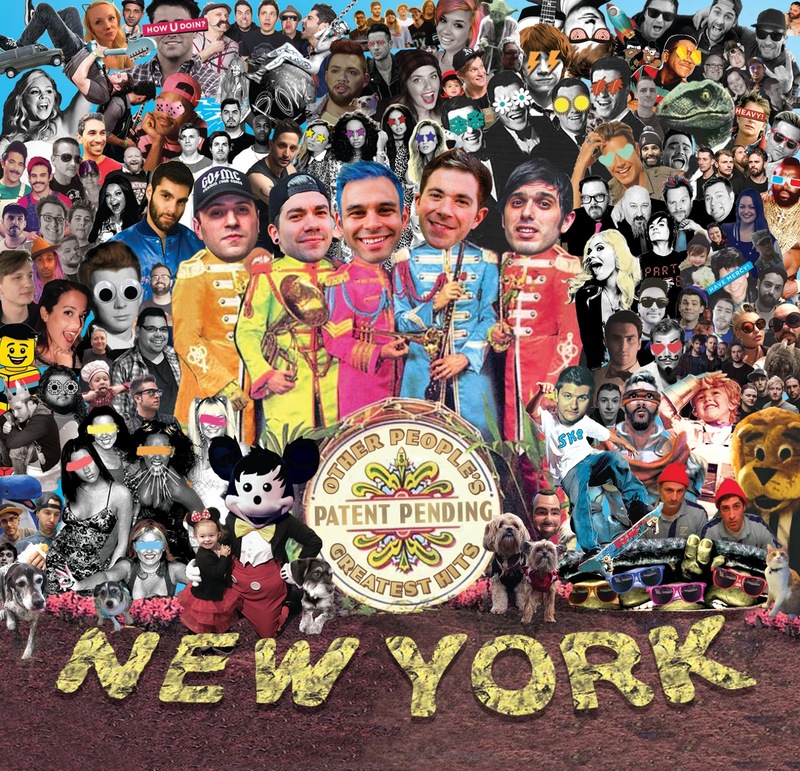 What would be a dream collaboration for each of you and Patent Pending? As you can see by the vastly different choices of artists we covered on our new album “Other People’s Greatest Hits” (WINK!) we all have supremely eclectic tastes in music. 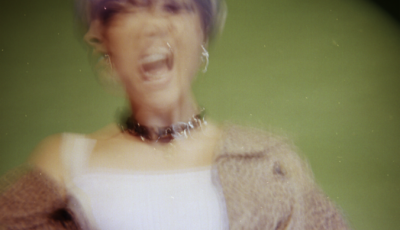 We like everything from punk rock to mo-town, pop to hip-hop. If it’s a great song, it’s a great song. Simple as that. When I’m not busy with Patent Pending records and tours I’m down in Nashville writing songs for other artists. For me personally, the ultimate collaboration would be to sit down with Ryan Tedder and write a string of smash hits! We get asked this question a lot, so people familiar with our band may be hearing me say this for the 1000th time, but I truly believe that the power of music is one of the most important parts of life. I hope that our music makes people happy. I hope people take away the idea that they can feel safe and comfortable enough to just be themselves. A lot of people tell us that our music has helped them through tough times. I think that’s the coolest thing in the damn world. Music has done that for me a countless amount of times and to know that our music is doing that others is all the reason in the world we need to keep going. Our new album “Other People’s Greatest Hits” is out now!!!!!!!!! Be on the lookout for all kinds of crazy for the rest of the year! LOVE YOU! An Interview With The Calfornia Alt-Rock Band INERTIA About Their Newest Album ‘The Process’! An Interview With The Unique Metal Band, HOMERIK!